"There is only ONE action that will overcome vertigo upon entering IFR conditions. 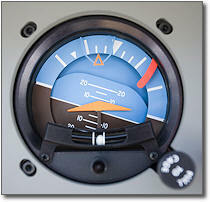 The pilot must immediately transition to flight instruments to determine the aircraft's attitude and respond accordingly to maintain aircraft control. Body feedback will be WRONG and only by reference to the aircraft instruments can safe control of the aircraft be maintained. Let me expand upon this just a little. With the loss of outside visual references, we are now dependant upon our inner ear for reference. The three semi circular canals in our inner ear can send us false and misleading indications that will lead to loss of control of the aircraft. Pilots need to have a thorough understanding of vertigo, when it occurs and how to respond. In the FAA's Instrument Flying Handbook there is some guidance for coping with Spatial Disorientation (FAA-H-8083-15A). 1. Understand the causes of these illusions and remain constantly alert for them. 2. Always obtain and understand a preflight weather briefing. 3. Before flying in marginal visibility (less than 3 miles) or where a visible horizon is not evident such as flight over open water during the night, obtain training and maintain proficiency in airplane control by reference to instruments. 4. Do not continue flight into adverse weather conditions or into dusk or darkness unless proficient in the use of flight instruments. If intending to fly at night, maintain night-flight currency and proficiency. Include cross country and local operations at various airfields. 5. Ensure that when outside visual references are used, they are reliable, fixed points on the Earth's surface. 6. Avoid sudden head movement, particularly during takeoffs, turns, and approaches to landing. 7. Be physically tuned for flight into reduced visibility. That is, ensure proper rest, adequate diet, and, if flying at night, allow for night adaptation. Remember that illness, medication, alcohol, fatigue, sleep loss, and mild hypoxia are likely to increase susceptibility to spatial disorientation. 8. Most importantly, become proficient in the use of flight instruments and rely upon them. Trust the instruments and disregard your sensory perceptions."